I know this is a variation for a Belgium inspired web site, but as a lover of Belgium and Belgian style beer, I think that many people in the U.S. would like to know where they might find some beer based on the Belgian styles. Fifteen years ago, I rarely saw any U.S. brewer making this style and now it seems that every one tries their hand at it. For a brewery to be listed on my Top 10 list, they must excel at the art of creating the essence of the style. I am aware that there are many brewers in the U.S. that are brewing this style, both large and small; but in order to be listed, one or more Belgian style beer must be part of their regular line up, not a seasonal or occasional release. Tomme Arthur is well known in the brewing industry as one who has continually pushed the envelope on the side of extreme beers and for the years I have been following his craft, he has always made extraordinary beers and for many years has always had at least a couple of Belgian style beers in his offering. From the beginning at Pizza Port in Solana Beach, where Belgian dubbels, tripels and saisons periodically appeared on his selections to the opening of The Lost Abbey in 2006, Tomme has been brewing excellent beer. As an avid Belgian beer aficionado, I have sampled most of the beers available in Belgium, and Tomme does them all justice; except most of Tomme’s beers have a bit more body. To see the line up of current beers go to . Owner Patrick Rue started home brewing during his first year of law school as a way to relieve tension; I’m not sure if it was the actual brewing that did this or the consumption of the creation. In any event, Patrick opened The Bruery in 2008 rather than taking the bar exam and anyone who has ever tried his Belgian style creations is pleased he made this decision. I have had the privilege of trying almost every one of Patrick’s beers and every one is stellar. I keep wondering, if this is what he’s doing after 3 years, what will the beers be like in 10, or 20 years? It seems like everything he does he does right; like hiring Tyler King on as head brewer. Between the two of them, they are making waves that are rocking the beer industry. Owner/Brewer Rob Tod loved Belgian style beers and knew the American beer scene lacked beers brewed in this style. So Rob and his father Bob put together a small brewery on the outskirts of Portland and in 1995 came out with their first beer, Allagash White. Allagash White was brewed as a Belgian style wit beer and it caught on right away. Now the regular line up includes the White as well as the Dubbel, Tripel and the Grand Cru as well as their fantastic oak-aged beers and periodic seasonals and anniversary beers. Starting in 1997, Brewery Ommegang started brewing traditional Belgian style ales on the outskirts of Cooperstown. Ommegang is not an extreme brewer, rather a brewer of great Belgian ales. All Ommegang beers are a Belgian style; they do not brew other traditional U.S. styles. Any lover of great beers has had at least one of the beers of Ommegang, the namesake, Hennepin, Rare VOS, Three Philosophers or Witte. Brewery Ommegang was fully acquired by Brewery Moortgat in Belgium several years ago, makers of Duvel and many other great Belgian beers. Owner /Brewer Adam Avery has an affinity for Belgian style beers but also has the fever for extreme beers. The solution? Do both. And Adam and his staff do it well. While I will admit that I have never had a beer in Belgium that faintly resembles anything from Avery, it’s beside the point. Avery knows the basic Belgium style and just decided to increase the proportions of everything. After a bike trip across Belgium in the late 80’s, Jeff Lebesch returned to Colorado and started churning out batches of 2 homebrews based on his recipes. One was a dubbel style, which he called Abbey, and another amber style he named Fat Tire. While the previous was the one I admir e more, the later made it possible for New Belgium to become a real brewery and a successful one at that. 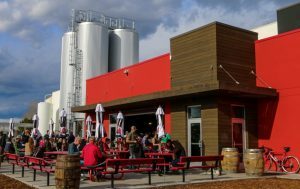 Starting with a small micro in Fort Collins, New Belgium has grown to be one of the largest craft breweries in the U.S. While New Belgium was already on the fast track to becoming one of the top U.S. breweries, the hiring of Peter Bouckaert of Rodenbach brewing fame, moved them into the fast lane. Today, New Belgium brews the original Abbey, a Tripel, Dubbel and a black ale; named 1554, based on a Belgian recipe dating to the 1600’s; and a multitude of other exciting beers. In 1997 Korbel Champagne Cellars in California decided to try their hand at brewing beer. They hired Vinnie Cilurzo to be the brewmaster and over the next 5 years, Vinnie won numerous awards for his brewing expertise. In 2002 Korbel decided to return to their roots and sold the brewery to Vinne and his wife Natalie. Great move for all lovers of beer; especially Belgian style ales. Today Russian River brews great beers, which include many Belgian style ales. Although they are extreme examples in most cases, they still have the Belgian heart in each. Owners Dan and Deb Carey started New Glarus in 1993 and garnered an immediate cult following with their renditions of a raspberry and a cherry lambic. While not true lambics, they created brews that allowed for people to try a style of beer that normally takes some getting used to and allowed for consumers to immediately enjoy this style. Since that time, New Glarus has produced dozens of fantastic beers and come out periodically with a seasonal that is truly Belgian inspired. Currently, New Glarus is only available in Wisconsin, but from the looks of their brewery expansion, this may be changing soon. Owner/ Brewmaster Ron Jeffries had been brewing great beers for many years before opening a brewery in 1994. Today Jolly Pumpkin is known for their creative ales based on the Belgian Saison style of beer. Each and every beer that comes from Jolly Pumpkin is a saison extraordinaire experience. Owner/Brewmaster Peter Zien started Alesmith in 1995 and is another brewer who loves the Belgian style. While Alesmith brews the gamut of most popular U.S. beer styles, the Lil Devil, Horny Devil, Grand Cru and Old Numbskull are some of my favorite Belgian style beers. Peter works with Tod Fitzsimmons, Bill Batten and Matt Akin, all awarded brewers, to create these great ales along with another 8-9 creations, all of which have won numerous awards. Founded i n 1989 by John McDonald, most of their original beers were high end craft beers brewed in traditional styles. They now call themselves, Missouri’s second largest brewery. A number of years later in 2001, Steven Pauwels, a brew master from Belgium joined Boulevard bringing with him the knowledge of brewing excellent Belgian style beers. While distribution is very limited, if you do come across any of their beers, I’d suggest scoring a few bottles. 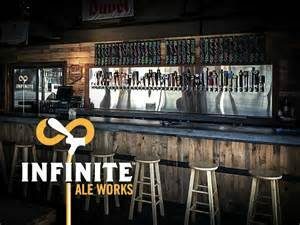 Infinite Ale Works opened in 2014 and focuses on Belgian style beers almost exclusively. They offer 32 tap handles of U.S. craft beers an d Belgian beers as well as at least a third to a half of the tap handles that are Infinite produced ales. At any given time, one can try a saison, an abbey single, tripel, dubbel and their West Floridian quad has been compared to some of the world’s finest quads. They also have a multitude of other Belgian styles. A new beer is introduced each Monday and their barrel program is in full swing producing very complex ales based on historic Belgian recipes. I know, I k now – I’m really stretching it here – Five ‘Number 10’s’ – but Pizza Port actually is near the top when it comes to brewers of great Belgian style beers. Tomme Arthur grew his skills at Solana Beach and now Jeff Bagby oversees brewing operations at all locations and focuses on Carlsbad. If they have a Belgian on tap, it will be excellent. And what better way to enjoy a great Belgian than with a great pizza, which they also excel at. In order to keep updates to a minimum, all my lists are “Top 10’s”. However, the U.S. craft beer scene is exploding and is one of the most vibrant brewing countries on the planet today. Since there are other great breweries that produce great beers in the Belgian style, I feel it important to list a few more of my favorites. At the top of the list is Dogfish Head, Milton, Delaware. Owner Sam Caligione brews some of the finest beers anywhere and some have Belgian bases. Dogfish is one of the most creative breweries anywhere and I have yet to be disappointed in any of their fine creations. Ale Asy lum is a small microbrewery near the Madison airport. They make fantastic Belgian style beers but do not bottle, so to sample these fine beers, you’ll have to make the trip to Madison. 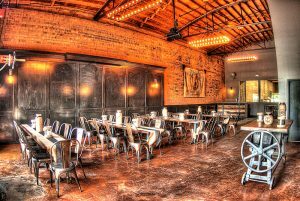 just opened in 2010 by Eve Sieminski and son Brandon, who is the brewmaster. Iron Fist opened shortly after Brandon’s 21st birthday because he gained a passion for excellent Belgian inspired beers during his home brewing days. Obviously, he knew he had a knack for making the style because Iron Fist’s beer are all very well put together and excellent interpretations of the styles he is trying to make. They have limited distribution, but if you are ever in South California, try to pick up a few. They have a tasting room that is open Thursday & Friday from 3 til 8 and the weekend from noon until 6. 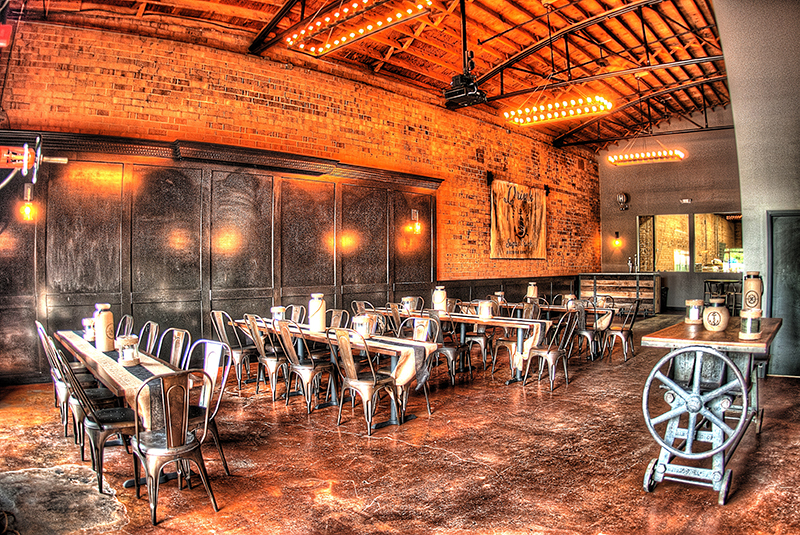 Sugar C reek opened in 2014 and has a focus on Belgian style beers. They offer a Dubbel, a tripel, a Biere de Grade, a saison and periodically, a quad. They also have a white ale and a raspberry infused white ale. Their beers are very well put together and offer visitors a brief glimpse into this fantastic style. There is a reference on their web site to beers brewed by a collection of Cistercian monks that could prove problematic for them, as the reference is a very highly regarded and protected word that requires approval and licensing to even use, but overall this brewery is worth a visit.